Browse our collection of 15 America Is The Bomb Beach Towels and more. Designed and printed in the USA. 100% Satisfaction Guaranteed. About this Design Show off your proudest American pride with this patriotic pattern beach towel design! The pattern features a bald eagle, the American flag, beer cans, fireworks, stars and stripes! Perfect for celebrating freedom, 4th of July, and being proud to be an American every day! Show off your proudest American pride with this patriotic pattern beach towel design! The pattern features a bald eagle, the American flag, beer cans, fireworks, stars and stripes! Perfect for celebrating freedom, 4th of July, and being proud to be an American every day! 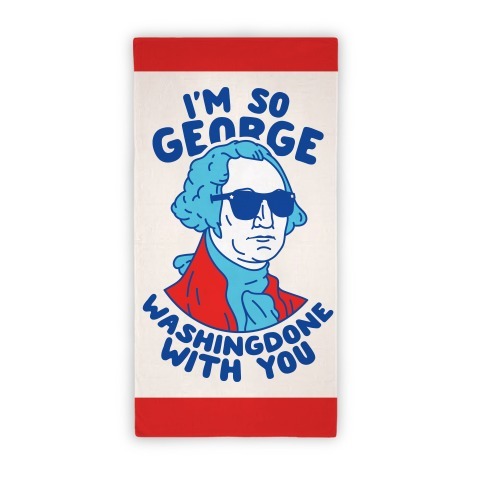 About this Design Lift hard 'Merica style with this hilariously swole George Washington beach towel! Now get to the gym, get your fitness on and dry off with this rad design! Lift hard 'Merica style with this hilariously swole George Washington beach towel! Now get to the gym, get your fitness on and dry off with this rad design! 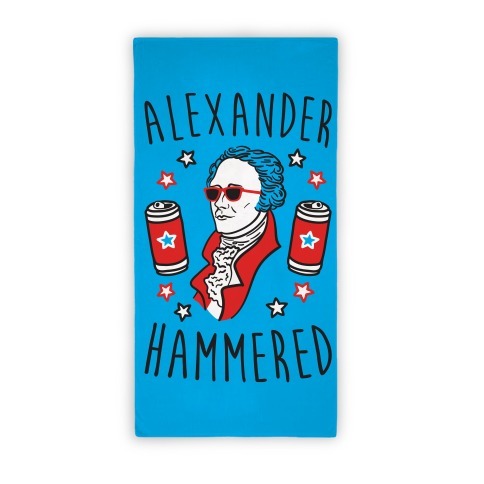 About this Design Lift hard 'Merica style with this hilariously swole George Washington beach towel! Now get to the gym, get your fitness on and let your patriotic side loose! 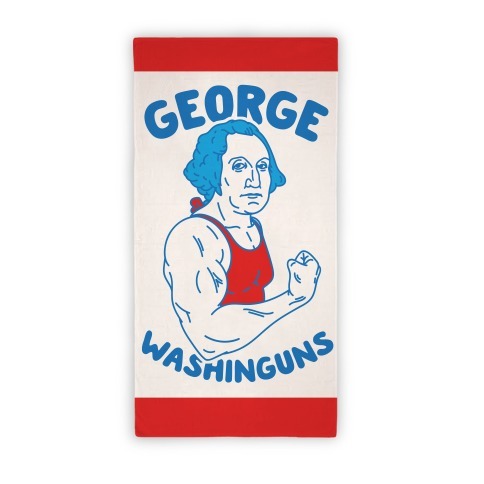 Lift hard 'Merica style with this hilariously swole George Washington beach towel! Now get to the gym, get your fitness on and let your patriotic side loose! About this Design Chill out with your bros, crack open some beers and barbecue! Celebrate with your bros and show off your patriotism with this , teddy brosevelt beach towel! Chill out with your bros, crack open some beers and barbecue! 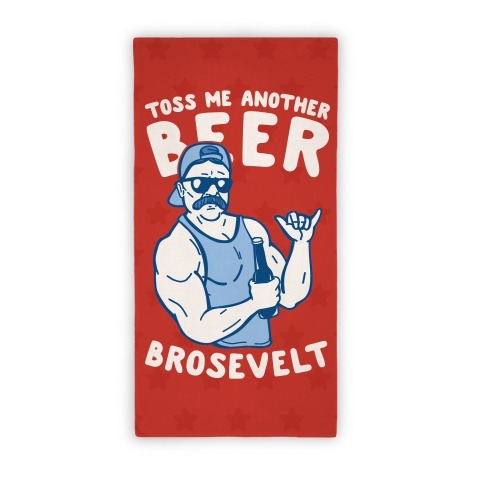 Celebrate with your bros and show off your patriotism with this , teddy brosevelt beach towel! About this Design Yasss I'm a proud member of the USA! If you're proud to be an American and want to show off your fabulous pride! Flaunt it with this cute and patriotic beach towel! Yasss I'm a proud member of the USA! If you're proud to be an American and want to show off your fabulous pride! 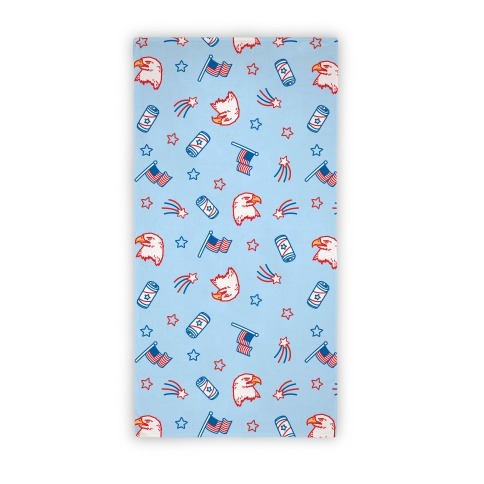 Flaunt it with this cute and patriotic beach towel! About this Design Oh Slay can you see! Twirl on them haters this Fourth of July with this and patriotic beach towel! Chill out on the beach and slay all day on this red, white, blue and fabulous beach towel! Oh Slay can you see! Twirl on them haters this Fourth of July with this and patriotic beach towel! 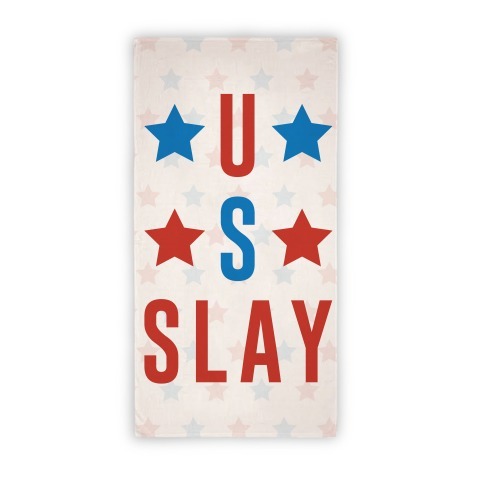 Chill out on the beach and slay all day on this red, white, blue and fabulous beach towel! About this Design Have a majestic America summer! 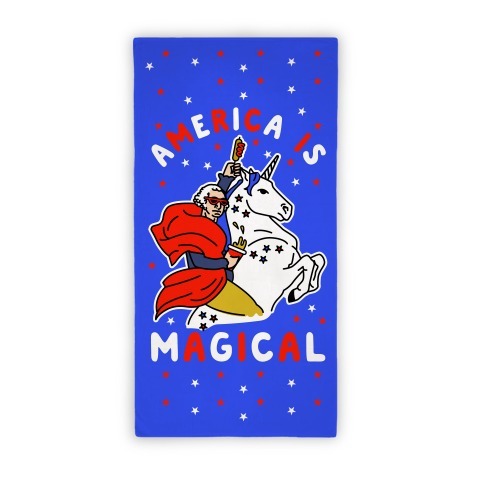 This magical patriotic beach towel features an illustration of George Washington riding on a unicorn of independence brandishing a corn dog in one hand and a beer in the other. Have a majestic America summer! This magical patriotic beach towel features an illustration of George Washington riding on a unicorn of independence brandishing a corn dog in one hand and a beer in the other. About this Design What if the great seal of the United States of America was just a great big seal? 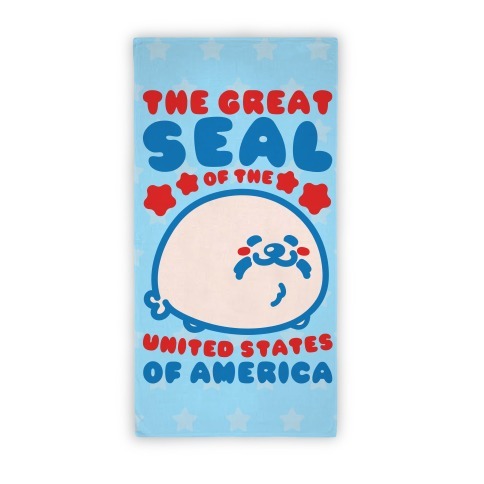 Show off your American pride in this cute and patriotic, seal beach towel! What if the great seal of the United States of America was just a great big seal? 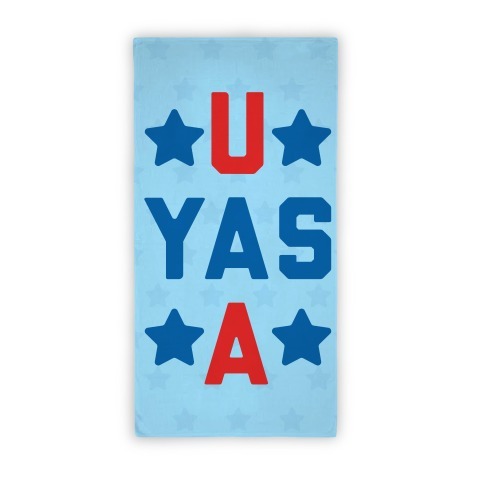 Show off your American pride in this cute and patriotic, seal beach towel! About this Design Get drunk and celebrate in your American pride with this USA pledge of allegiance parody! This America design features the text "One Nation Under The Influence, Intoxicated, with Liquor and Justice For All" perfect for getting drunk, having a cookout, pool party, drinking, partying and celebrating Independence Day, July 4th weekend, and patriotism! Get drunk and celebrate in your American pride with this USA pledge of allegiance parody! 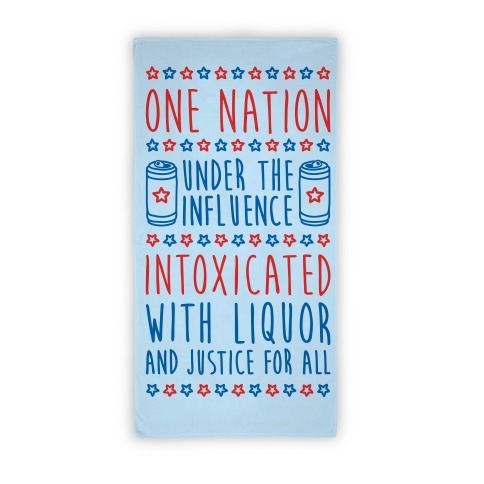 This America design features the text "One Nation Under The Influence, Intoxicated, with Liquor and Justice For All" perfect for getting drunk, having a cookout, pool party, drinking, partying and celebrating Independence Day, July 4th weekend, and patriotism! About this Design Celebrate our Nations Independence Day by remembering the heroes that keep our nation free. 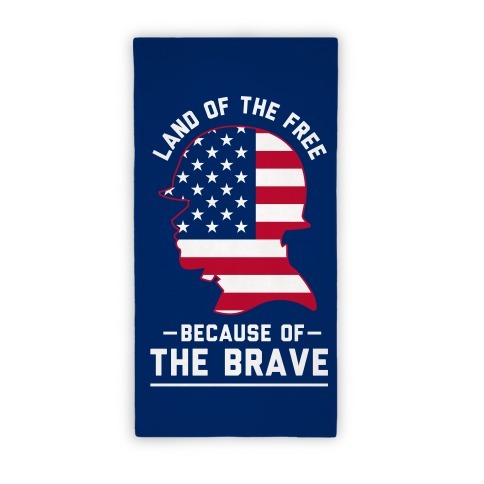 This red white and blue towel features the silhouette of a solider and the phrase "Land of the Free because of the Brave. Celebrate our Nations Independence Day by remembering the heroes that keep our nation free. This red white and blue towel features the silhouette of a solider and the phrase "Land of the Free because of the Brave. About this Design Everyday is Independence Day! This red white and blue freedom towel features an illustration of a bald eagle and the phrase "Everyday is the 4th of July if You Are American Enough. Everyday is Independence Day! 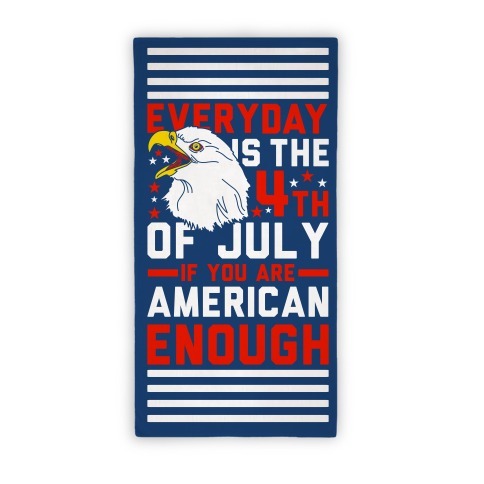 This red white and blue freedom towel features an illustration of a bald eagle and the phrase "Everyday is the 4th of July if You Are American Enough.